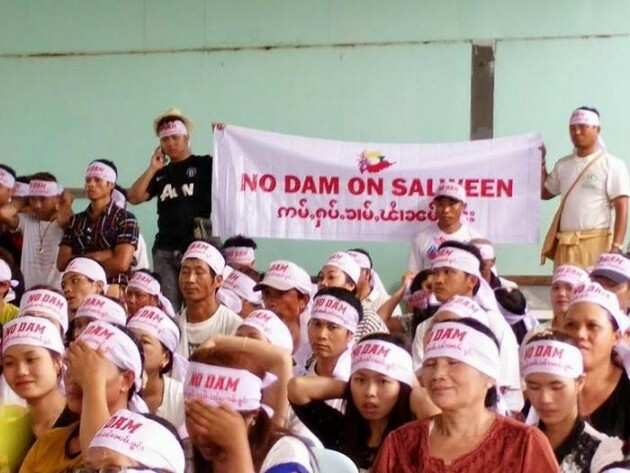 The Australian Snowy Mountains Engineering Corporation’s (SMEC) cancelled its plans to hold a public meeting to discuss the Mong Ton mega-dam on the Salween River after hearing that hundreds of villagers were going to hold a protest against the dam. The Shan Human Rights Foundation said that Nang Wah Nu, a Shan Nationalities Democratic Party MP for Kuning, joined with the protesters. The Shan Human Rights Foundation said that the public meeting organized by the Australian consultants was the second in recent months.